When Michigan was again forced to adjust to life without star shooting guard Caris LeVert — whose college career ended after suffering a season-ending leg injury last December — it posed two silver linings. On the one hand, it was a blessing in disguise. The Wolverines still snuck into the NCAA Tournament, and the increased workload for guards Derrick Walton and Zak Irvin gave the experienced duo more to build on entering 2016-17. LeVert’s exit, however, also marked the first in a series of unforeseen departures which have created more questions than answers entering this season, even with the team’s starting five fully intact. 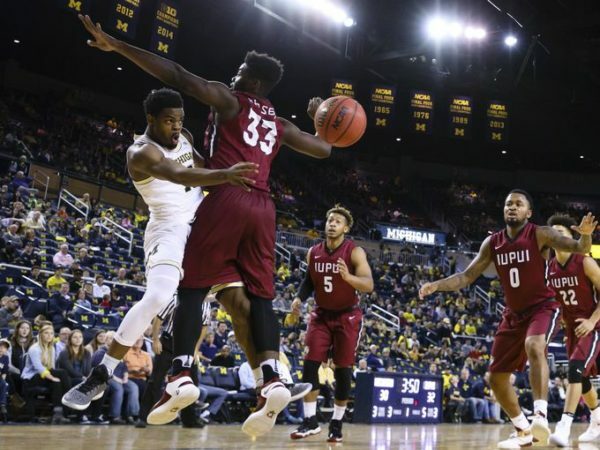 If its opening weekend victory over IUPUI is any indication, Michigan’s questions will take some time to fully answer—but the blueprint for progress is there. Nebraska’s Shavon Shields played for the first time since a February 6 game against Rutgers when he suffered a serious concussion on a nasty fall. As if nothing had ever happened, the senior returned to the lineup last night against Penn State and scored a game-high 25 points. It was not enough for the Cornhuskers to win the game, however, as Shields’ off-balance 15-footer at the buzzer misfired, giving the Nittany Lions a 56-55 win. Bracketology becomes increasingly popular as the calendar inches ever closer to March. ESPN’s February 25 NCAA Tournament bracket projections from Joe Lunardi lists seven Big Ten teams among his field of 68: Michigan State is a #2 seed; Iowa #3; Maryland #3; Indiana #5; Purdue #5; Wisconsin #7; and Michigan #9. CBS Sports’ Jerry Palm’s latest projections differ only slightly: Iowa is a seed line lower at #4, while Wisconsin comes in as a #9 seed and Michigan a #10 seed. 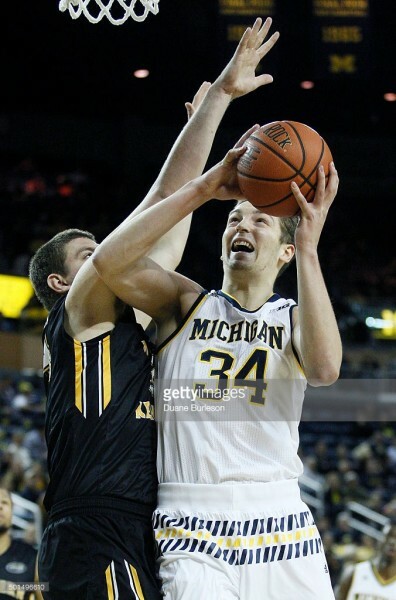 Michigan’s Duncan Robinson started the season as one of the nation’s best shooters, but his prolonged slump in Big Ten play is a growing concern. He is converting only 31 percent of his three-pointers in the second half of conference play, prompting head coach John Beilein to consider shortening his minutes. Fortunately for Michigan, sophomore Aubrey Dawkins has picked up the slack in knocking down a conference-best 51 percent of three-pointers in Big Ten play. Michigan State has used a deep bench all season and the latest player to get an extended look in the wake of Kenny Goins’ knee injury is sophomore forward Marvin Clark Jr. He was a useful reserve during Sparty’s run to the Final Four a year ago and is finding his confidence in an expanded role. Clark played 19 minutes against Ohio State on Tuesday and made both his three-point attempts for a total of six points. His shooting (35.3% 3FG) has kept him head of Javon Bess in the rotation. During Wisconsin’s admittedly slow start to the season, some believed that mediocre recruiting was a key reason for the team’s lack of quality depth this season. Now, however, with Wisconsin sitting at 10-5 in the Big Ten, that notion has dissipated. The Wisconsin State Journal reviewed Bo Ryan’s class of 2011, finding that it had considerable talent from top to bottom. Frank Kaminsky and Traevon Jackson led the program to consecutive Final Fours but played their final seasons in 2014-15. Jarrod Uthoff became a star after transferring to Iowa, and George Marshall, now at South Dakota State, is leading the 22-7 Jackrabbits in scoring. Michigan is one of five undefeated teams left in the early stages of Big Ten play, but the Wolverines will face their biggest test of the young conference season when they head to West Lafayette tonight to take on Purdue. The Boilermakers will be looking to bounce back from an upset home loss against Iowa where they had no answer for the Hawkeyes’ talented twosome of Jarrod Uthoff and Mike Gesell. Here are three keys for John Beilein‘s club to pull off what would be its best win of the season. Can Perimeter Depth Carry Michigan? After a run to the National Championship game in 2012-13 and an Elite Eight appearance a year later, Michigan slumped to a 16-16 record a season ago. Injuries were the biggest obstacle to another postseason jaunt last year, but in a roundabout way they may have helped set the Maize and Blue up for success this year. Aubrey Dawkins averaged 11.4 PPG and shot 46 percent from behind the arc in his last 14 games; Muhammad-Ali Abdur-Rahkman averaged 7.9 PPG in his last 14 contests; and leading the way, Zak Irvin scored 14.7 PPG, grabbed 5.6 RPG and dished 2.4 APG. With Derrick Walton Jr. and Caris LeVert both sidelined by injuries, Irvin stepped up and performed as the primary option for the first time in his collegiate career. His emergence along with that of the freshmen didn’t lead to much success a year ago, but it does set things up nicely for John Beilein‘s team this season. Michigan’s perimeter attack is one the most talented and deepest in the B1G; is it good enough for the Wolverines to contend for the league title and return to the NCAA Tournament? 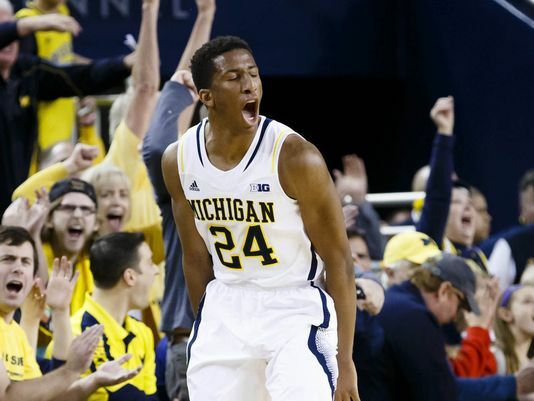 Aubrey Dawkins emerged as a diamond in the rough for Michigan last season (Photo: Rick Osentoski, USA Today). Given all the talk about the Big Ten’s bubble teams, there wasn’t much hype for a game between two squads with losing conference records. But Michigan and Northwestern played a double-overtime classic in Evanston on Tuesday night, exhibiting that both programs are clearly trending upward with young rosters and an eye on 2015-16. Here are some quick observations from last night’s game that echo the larger point. Alex Olah could be one of the most improved players in the league, as he has become a solid low post threat for the Wildcats. Other than Frank Kaminsky, he might have the best footwork in the conference. He is fundamentally sound with the ball, keeping it high when he makes the catch after establishing his position in the lane. Olah murdered Michigan on the low blocks last night and also displayed an ability to knock down an open 15-footer as well. He went for 25 points and 12 rebounds, his seventh double-double of the season. Tre Demps has evolved into a much more complete player this season. Mainly just a bench option last season, he’s become a much better all-around offensive threat. He’s still a bit streaky, but he has the mentality to take and make big shots in late-clock situations. 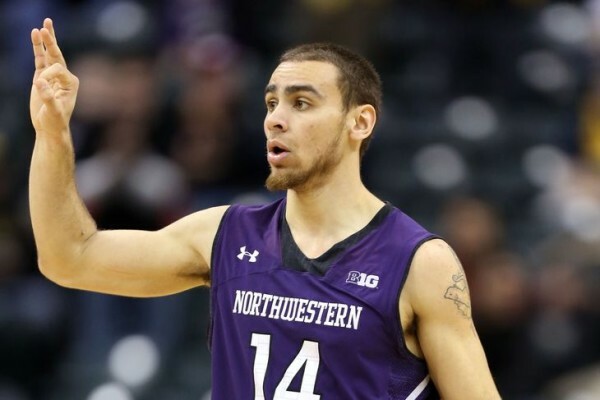 In Northwestern’s last six games, Demps has averaged 15.5 points along with 3.8 assists per contest. His ability to get into the lane makes the Wildcats’ offense much more diverse, as he’s shown that he can either finish at the rim or kick the ball out without turning it over. Big Ten training staffs have been working overtime this season, as many notable names have already missed significant time with injuries. 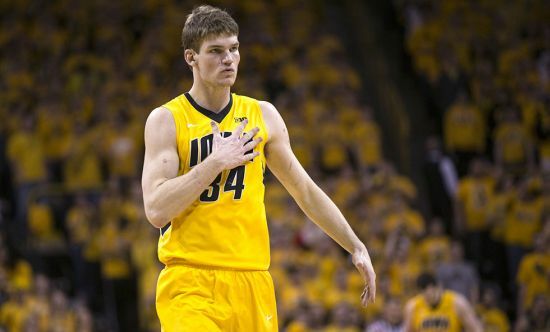 Just last weekend, Aaron White, Robert Johnson, Bishop Daniels, Brandon Taylor, and Mike Williams all suffered various ailments that could result in missed action. This piles on to the already large injury toll suffered by conference teams, with Illinois (Rayvonte Rice), Indiana (Hanner Mosquera-Perea), Michigan (Caris LeVert), and Wisconsin (Traveon Jackson) all losing key starters for multiple games. Injuries, of course, are a part of the game, but it means that others must step in and make contributions in their absences. Here’s a look at how some of these Big Ten understudies have performed with the resulting boost in minutes they’ve received. Illinois has gone 3-3 since its star Rayvonte Rice went down in practice. The senior had been logging 11.1 shots per game before his injury, and his primary replacement, Kendrick Nunn, has barely left the court since (36.2 MPG in the six games that Rice hasn’t played). The sophomore has been productive in his absence, though, contributing 16.7 PPG along with 4.5 RPG and 1.3 SPG. Rice’s biggest improvement had been shooting from deep, where he got off to an insane 29-for-60 start, but Nunn has been equally adept from three-point range, making 18-of-39 attempts in six games. 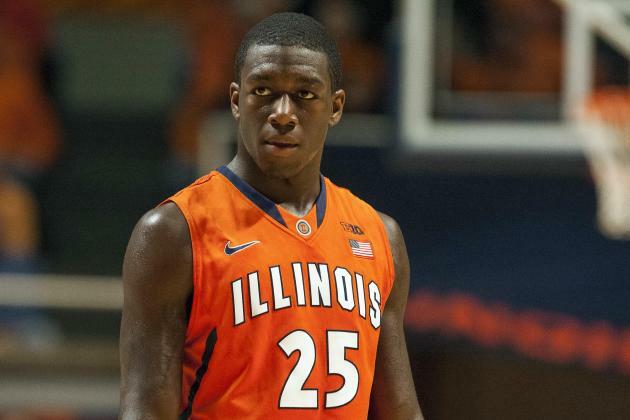 On balance, Nunn has effectively matched Rice’s production, but Illinois’ main problem right now is depth. Without Rice and with Aaron Cosby (also sidelined), John Groce is pretty much running a seven-man rotation right now. 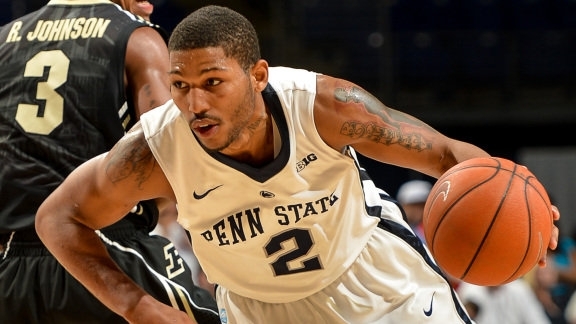 Should Nunn or forward Malcolm Hill struggle offensively, there really aren’t many other options. Many sophomores in the Big Ten have a significantly greater role this season than they did as freshmen. That is to be expected, of course, as the offseason between their first and second years is often when players make their biggest strides in development. Some highly-recruited guys, however, continue to disappoint, while others who may not have been so highly regarded have by now become viable contributors for their teams. This series of posts is meant to check in on a few of the different sophomores in the league to determine whether they have improved and what it means for their teams going forward. 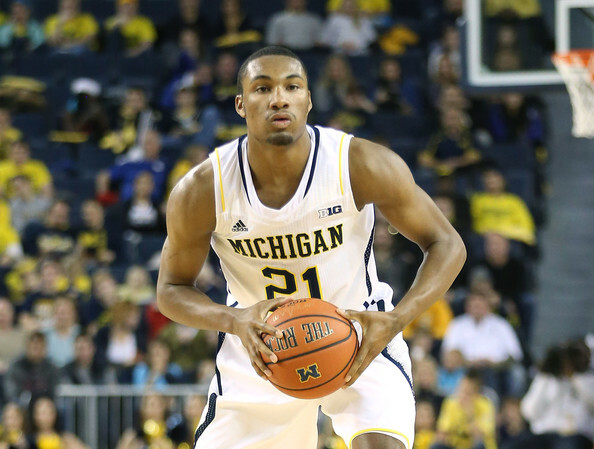 Next up in the series is Michigan forward Zak Irvin. Things just got real for Irvin. Caris LeVert is now out for the rest of the season with a foot injury, so in following the “next man up” theorem throughout sports when a superstar gets injured, all the signs point to Irvin as the new main option for the Wolverines. To this point in the season, however, Irvin’s play has to be considered a mild disappointment. His general offensive productivity has declined as he has significantly increased his minutes and shot attempts commensurate with the team’s focus. Like Michigan as a team, things started out pretty well this season for the Indiana native, as he averaged 20.4 PPG on 43.4 percent shooting from deep in the first seven games of the season. Beginning with the Wolverines’ catastrophic loss to NJIT, however, his numbers dropped to 11.3 PPG on 30.8 percent shooting from three. Five of his first seven games exhibited offensive ratings above 100, but he has only managed to hit that number three times in his last 12 outings. He has somewhat made up for it in Big Ten play with better rebounding (4.7 RPG), and getting to the free throw line (3.4 FTA), but Irvin is on the floor to make shots from the perimeter, which he hasn’t been doing nearly enough lately.